3121 ROYAL WEDDING 1981 - mint never hinged topical collection with stamps and souvenir sheets from all over the world in three corresponding printed form albums, all in perfect condition like from subscription related. Subscription price over 3000,- DM! (former starting price: 250,- €). 3130 ✉ Cosmos / SPACESHUTTLE - 1963 / 77, nice lot with in total over 300 test flight documents, as well minuteman, YF-12 Supersonic, F-111 dope Critical Wing. Very high purchase price! (former starting price 220,- €). 3131 ✉ 487/88 Cosmos - Togo Michel no. 487 / 88 and 513 / 16, six (se-tenant) sheet, always on registered cover to Germany with arrival postmark. Very rare! (former starting price: 200,- €). 3132 ✉ Cosmos / SKYLAB - 1973, lovely collection with in total 96 different covers, with many decorative printed cachet envelopes, lovely additional cancellations and so on. Nice opportunity! (former starting price 130,- €). 3133 ✉ Cosmos / SKYLAB - 1973, very nice collection with in total approximate 100 covers, many wonderful illustrated covers, decorative additional cancellation and so on. Nice opportunity! (former starting price 130,- €). 3314 ⊙/∆/✉ GERMANIA - interesting collection on the subject of including mark values in three ring binders very fine made up. As well an extensive part German Reich including 5 Mk. Reichspost twice, German colonies, German occupations I. World war, as well a very nice part Libau partly expertized Schlegel BPP and so on. A magnificent object! 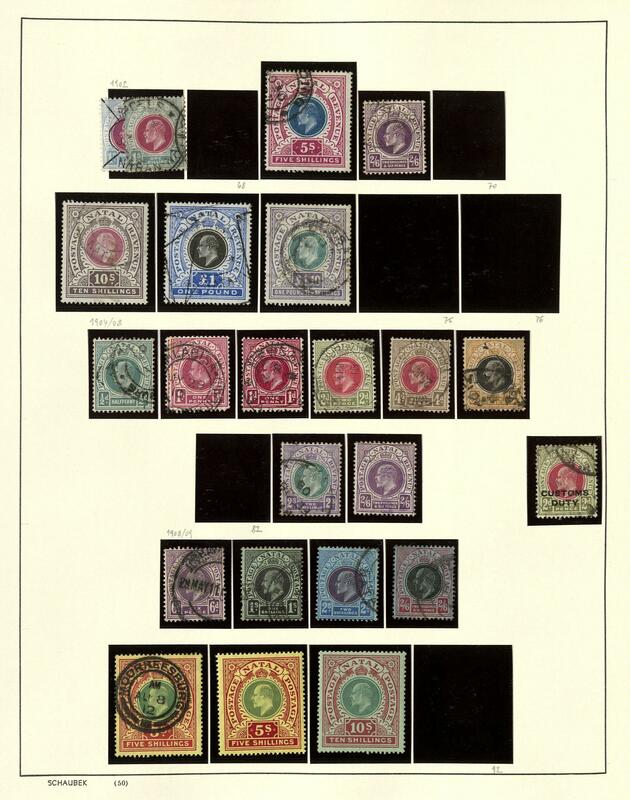 3373 x LIEBIG collectable pictures - interesting and rich collection in three ring binder, a Liebig-Album, as well one box accommodated, very large number of pieces with many attractive copies. In this richness rare offered! 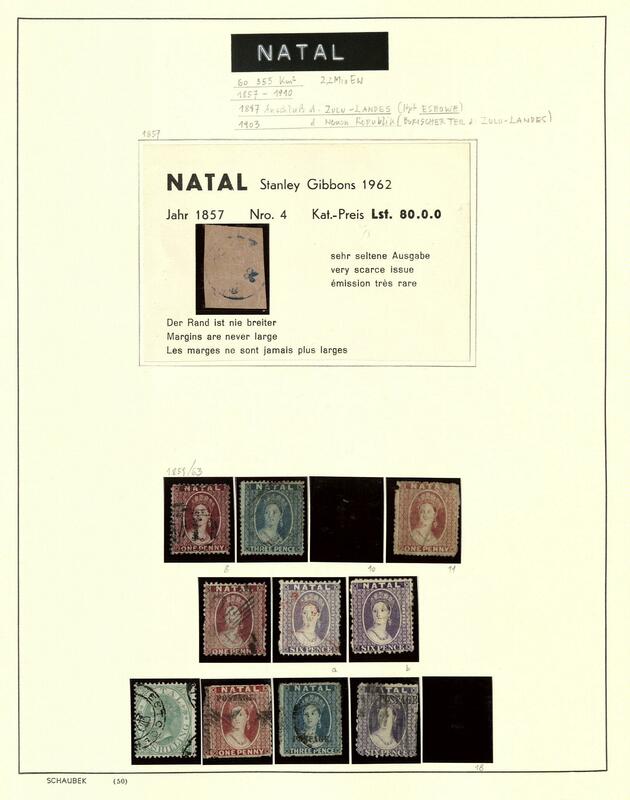 1756 ⊙/ 1 NATAL - 1857 / 1908, interesting and rich collection on Schaubek pages with numerous different issues and better values. With also Michel no. 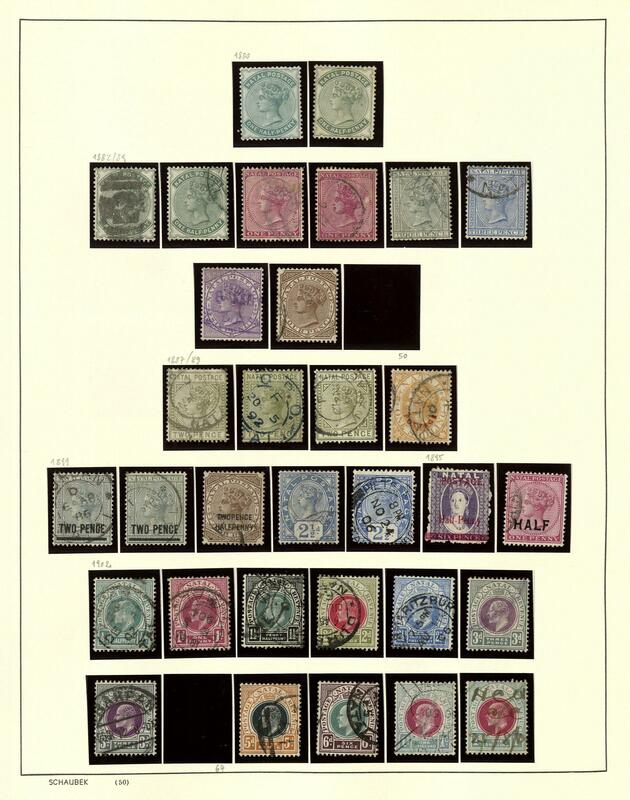 1 used on the original selling cards from Stanley gibbons from 1962, numerous issues Queen Victoria including overprint value, as well issues King Edward, mostly postal used. Interesting object (Photo see Internet).